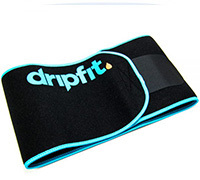 Drip Fit® custom sweat belts are designed to enhance your results from using Drip Fit® during a workout. 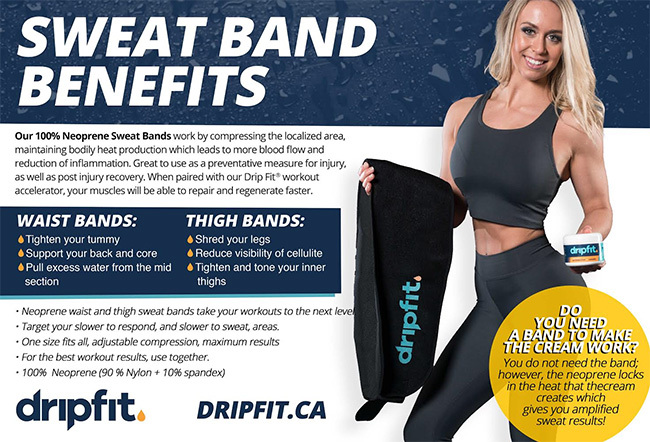 Our Drip Fit® works beneath the skin in creating increased heat. Our belt works to trap that heat in to amplify your sweat production in the midsection. Our sweatbands are made from the thinnest neoprene available to preserve heat, but not restrict movement, and are fully machine washable. The increased blood flow to the target areas helps to amplify your results!